Since 2010, the Nigeria Alternative Energy Expo (#NAEE2016) has provided a platform with a view of sharing experiences on decentralized renewable and alternative energy systems, finding and implementing solutions to energy access challenges in Nigeria, and increasing opportunities for both formal and informal dialogue among government representatives, pan-African organizations, policy makers, MDA’s, researchers, academia, manufacturers, investors, civil societies, and consumers. This year’s edition (the 6th edition) which was held at the Shehu Musa Yar’adua Conference Centre, Abuja, from the 14th – 16th October was co-hosted by the Nigerian Federal Ministry of Power, Sustainable Energy Practitioners Associations of Nigeria (SEPAN), and the African SustainableEnergy Association (ASEA). Themed, “Embracing renewable energy to tackle Nigeria’s economic challenges”, #NAEE2016 attracted speakers, panelists, and facilitators who all had professional and personal experiences and interests that provided them with unique credentials to be listened to. Take for example, the French Ambassador to Nigeria; HE Denys Gauer, who called for effective collaboration between sectors, the Finland Ambassador to Nigeria; HE Pirjo Suomela-Chowdhury, who harped on moral attitude for sustainability, the CEO of DARE; Professor Yahaya Ahmed, who walked participants through the UNFCC and the Save 80 cooking system that does not contribute to Indoor Air Pollution (IAP), and the Head, Africa-EU Energy Partnership; Engr. Ina-de-Visser who highlighted the need to support market development for mesoscale renewable energy technologies in Nigeria and Africa. With over twenty-two manufacturers in renewable energy sector exhibiting their products and services, the Expo also focused on the achievement of the Sustainable Developmental Goals, SDGs. Strong advocates and recommendations by relevant climate and environmental groups have continuously raised the need for real capacity building for universities, especially those in Africa. #NAEE2016 responded to this for the first time and took a step further to engage and empower Nigerian undergraduate students, so as to enhance their contribution to sustainable development and social transformation. This was done in partnership with The Green Campus Initiative, GCI – Nigeria’s leading and first campus-based environmental advocacy organization with a presence in thirty-eight (38) universities across the country. This step was guided by the realities facing students in environmental and social sciences, and those that have sufficient reason for interest in the renewable energy sector, and anchored in the belief that students are forces of equality and good governance, catalysts for global consensus building; and essential resources for sustainable development and poverty eradication. Adenike Akinsemolu; Founder of GCI and Board member of SEPAN, led GCI Universities Ambassadors and Associates to the expo, where they had a session on the second day that comprised of a plenary and an oral presentation. Tagged, “The World is Going Green, Are You?”, and moderated by Owoeye Abolade; a Public Health expert and Environmental Biologist with the Federal University of Technology Akure, those on the plenary were Dr. Segun Adaju; CEO of Consistent Energy and Global Advisor to GCI, Dr. Amina Batagarawa; an Architecture Lecturer with Ahmadu Bello University Zaria and Global Advisor to GCI, Hamzat Lawal of Connected Development, CODE, and Ibrahim Majidadi; a Law Student of ABU Zaria. The epoch-making plenary and oral presentation which was done by Odunayo Ayodeji; a Mathematics Student of Adeyemi College of Education, focused on discussions about the SDGs in Nigeria, effective participation of youths and students, meaningful equity of policies, engagement at all levels of decision-making, and the works ofThe Green Campus Initiative across Nigerian universities. 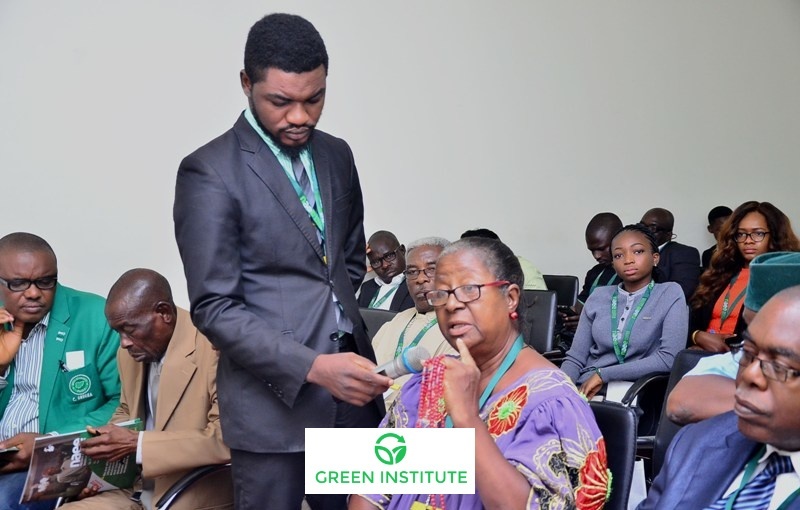 The highpoint of GCI’s session was the recitation of the Green Pledge where all participants promised to live more sustainable and teach others on how to. The organizers and delegates present affirmed they learned a lot during their feedback comments. Also, they shared the thoughts of the outcomes of the plenary that real actions need to be done to make sure young people and student advocates are supported with finance, mentorship, and resources as 80% of students that completed the event registration online could not attend due to inadequate funds for travel and accommodation. Notwithstanding, #NAEE2016 engagement is a good indicator that the Nigerian society is preparing students to become competent innovators and leaders that would shape the renewable energy, environmental and power sector. 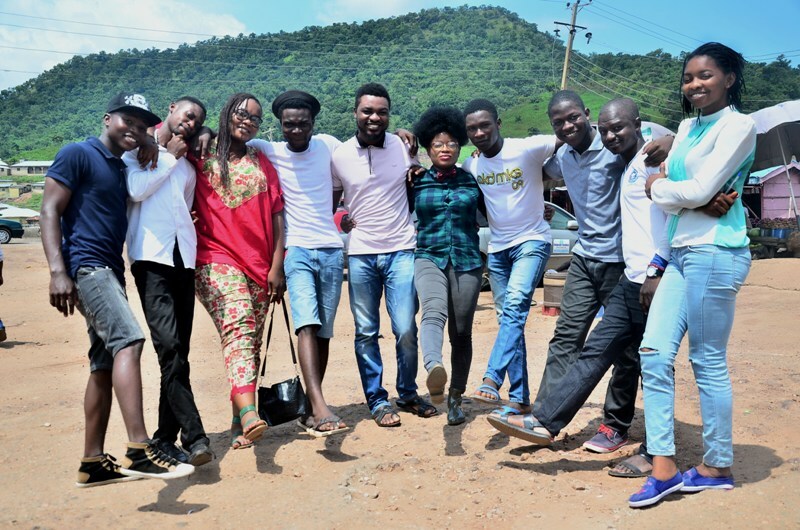 After the session, students were led on an excursion to the Green Estate in Garki, Abuja. The estate, a first of its kind in Nigeria, is reputed to have been running on solar and wind energy sources for the past 18 months, and is completely off the national power grid! The laudable project sets a standard for the feasibility of alternative energy in Nigeria and the promises of delivering on the climate action mandate in support of a sustainable world.